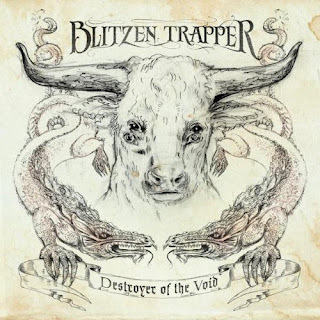 Blizten Trapper captures classic-rock vibe on "Destroyer"
Since 2008's breakout "Furr," Blitzen Trapper has been (in personal opinion) a somewhat over-hyped band. But on "Destroyer of the Void," the Portland, OR rock group pulls out all the stops, culminating in a fine selection of songs that would enthuse even the strictest of rock listeners. The title and opening track hits such a strong classic-rock vibe, that this little blog believe it merits comparison to "Stairway to Heaven": with strong, rock-out guitars, it is Blitzen Trapper's height by and far, a dizzying array of musical themes whose structure feels at ease with Led Zeppelin's famous rock-suite. Will "Destroyer" be compared to "Zoso" years from now, Eric Earley to Robert Plant? Probably not, but damn, it is such a fantastic ride that Zeppelinites and those classic rock guys who say the art is dead (you know, all that "there is no good music anymore" garbage) will choke on their tongues. Listen to the title track and be impressed; the rest is also fantastic. Recommended. ... is in the Newport Mercury this week. Pg. 12 has all the details. Check it out: www.newportmercury.com. Slow Club - "Yeah, So"
If every song from every band could be as intimate and quirky as "When I Go," the opener from Slow Club's debut, we'd be pleased as punch. The UK duo creeps into this track like a strange little She and Him, acoustic with a touch of sadness, and it comes off soaringly. But when the rest of Yeah, So picks up, the driving percussion and fevered pop energy aren't enough to carry through (but still check out the story on "It Doesn't Always Have to Be Beautiful"). Comparisons have been drawn between Slow Club and the White Stripes, and if there is a belabored comparison to be made, it is with a caveat: while one is sonically and lyrically cleaner, the other's grime and distortion speaks more effectively. 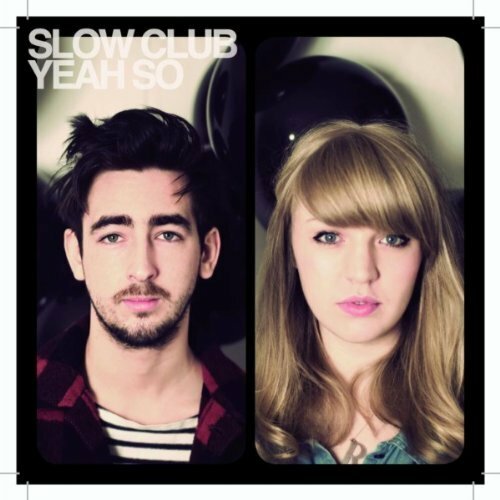 Polish isn't necessarily a bad thing, but Slow Club has too much of it, which has the unfortunate effect of blanching out the personality to the music. The live tracks on the bonus bonus disc are nice, but not quite enough to give it a recommendation. Nonetheless, download that fantastic single, and check out the link below. 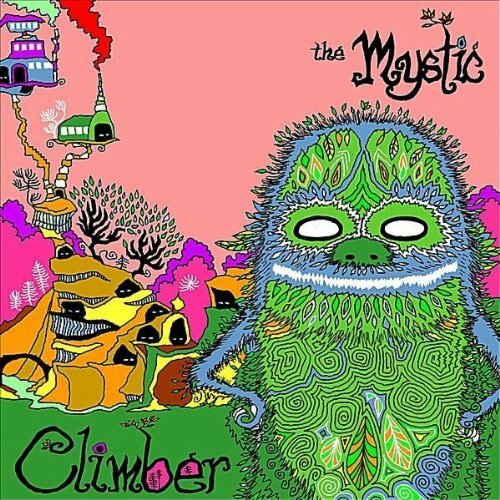 Climber reaches new heights on "The Mystic"
The Portland, OR outfit's third release comes in the form of "The Mystic," a psychedelic rock-suite not unlike something the Flaming Lips might put out. Opening is "The Simians Speak," a sonically delightful tale that blends philosophy with - indeed - sign-language talking monkeys. Before you run out screaming, let us say this: the paired down psychedelia joined with a deep, meaningful statement (plus monkeys!) just plain works. Even without the apes are sonic and lyrical statements that you might expect from Pink Floyd ("Flying Cars") and Brian Eno ("I Have Seen Everything"), which makes for a varied and colorful album. The weakest aspect of The Mystic, other than the Jolly Green Giant (TM) on the cover, is that they play in a genre that is rife with such strong and bizarre talent, that it makes it difficult for Climber to make a strong statement that will stick. Consider that even Wayne Coyne covers himself in gallons of fake blood during shows, despite glowing critical reviews. Climber, then, may find themselves a bit too middle-of-the-line to breakout here, both in terms of their sound and lyrics (yet), but if the material here is any indication of their future, it won't be too far away. A pleasant and unexpected surprise, as well as recommended. 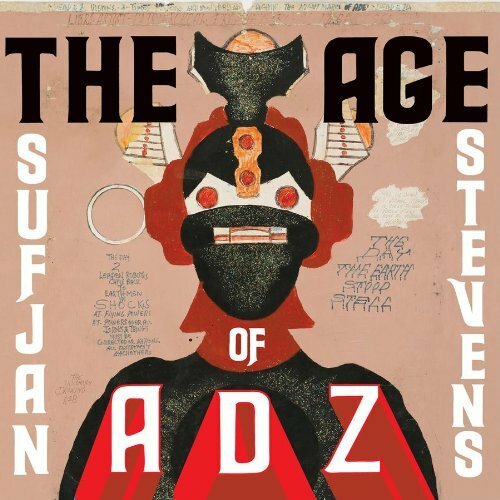 A new feel for Sufjan's new "Age"
Perhaps a more appropriate title for Detroit-native Sufjan Steven's latest album might be "Sufjan Battles the Pink Robots." That is to say, there are certainly Flaming Lips-ish space-a-delic themes both lyrically and sonically throughout on his seventh full-length album (excluding Avalanche), and those attuned to Beck's electronica will almost certainly enjoy themselves here. 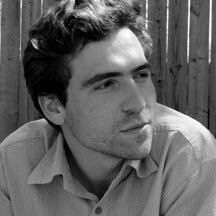 The downshot is that fans of his breakthrough album Illinois may find themselves surprised, and not always in a pleasant way, as to this new direction; stepping back, Stevens still provides an excellent sense of the pop dynamic, as well as several layered and gorgeous songs ("Too Much," "I Walked," and the title track, to name a few). The only real sense of disappointment comes in contrast to 2005's Illinois, his previous album of original pop material, which is soaring and majestic; Age of Adz approaches this height, albeit a bit more distractedly. Nonetheless, any other electronica musician would proudly list this album under their accomplishments, and Age of Adz certainly is an accomplishment. 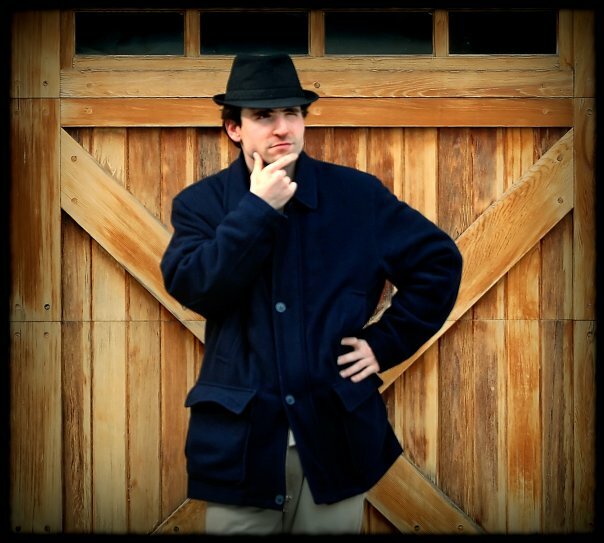 A melding of the synthetic and acoustic, Steven's latest opus is absolutely recommended. 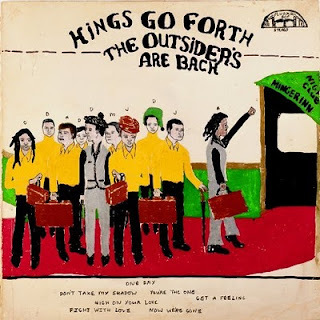 Kings Go Forth - "The Outsiders Are Back"
Take Earth, Wind and Fire, add dense layers of percussion and a female lead vocal, and you might come close to Milwaukee's retro-funk-soul outfit Kings Go Forth. With uplifting melodies and soulful harmonies, Kings brings back everything you loved about the 70s scene (shiny suits aside) on their debut release. And if you forgot what some of those things were, "You're the One" will certainly remind you again: singable choruses, bright, danceable rhythms, lyrics that transport you straight back to back-seat first-kiss nostalgia. Our favorite, "High on Your Love," is so pure and gorgeous that even the bitterest cynic must surrender and put on a smile. On it, Black Wolf declares "Let's make love on Jupiter/ While the Earth sleeps tonight," and if there's one thing this album does on each track, it is to make love. Enjoyable, refreshing, new (and old), and definitely recommended.